the tension and the toxins from the body and the impurity of the skin. the host has to be naked. Bathrobe, towel and disposable swimming suit are provided. herbal teas and the use of the AUFGUSS Finnish sauna*. (minimum of 3 to a maximum of 8 people). Bathrobe, towel and a disposable bathing suit are provided by Minaldo. The program takes about 2 hours. Is the nane given to the cast of steam in the finnish sauna. A ritual almost indispensabile for the "saunisti". that the saunameister is to release into the environment. taking advantage also to the respiratory tract. 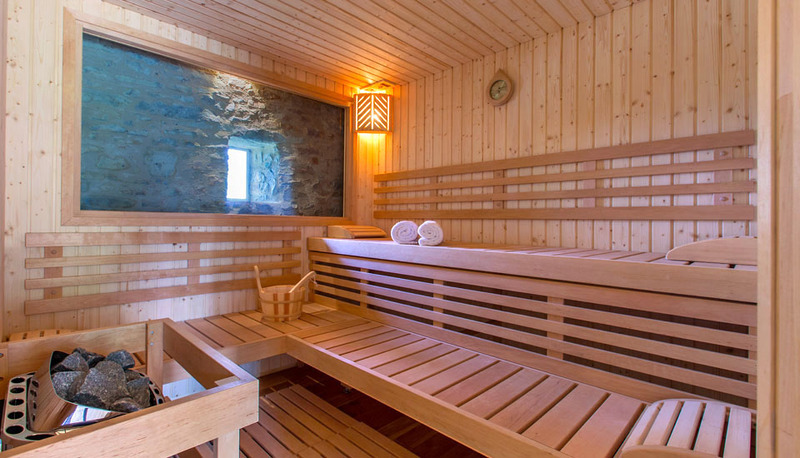 Sweating is more intense and increases the beneficial effects of the sauna. Finish sauna, relaxing herbal teas. aperitif, wine tasting, relaxing herbal teas. hydrating treatment with grapeseed oil. N.B. Please book the sauna with an hour and a half in advance. Massages are performed by masseuse enabled.